Greasy Grapes third studio album. An answer to the fans that always asked the band for songs written in their native tongue. The album was recorded under the production of Antoine Øpeng. Antoine Øpeng: Guitars, Banjo, Mandolin, Harmonica. Engineered by Antoine Øpeng, Mixing and Mastering by Erik Aldrey. "Surprise! 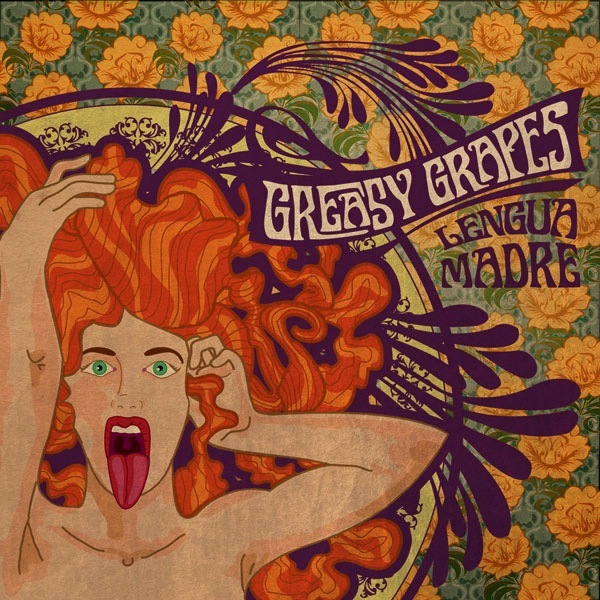 The Venezuelan band Greasy Grapes returns with a Deep South sounding 6 song EP, entirely written in Spanish. After 2 albums completely sang in English, they finally seemed to realize their artistic message is totally valid in both languages and their strength is still the same, which is kind of ironic now their band leader Antoine has decided to move to Austin, TX. The EP sounds solid and anchored in the rhythm base of Alberto Márquez and Jesús Dávila, and the always crystal clear guitar playing of Antoine Øpeng. Two steps forward!"